City Space is about my understanding and connection to the urban environment. I draw upon personal observations to create images that deconstruct the urban experience, looking at scale, pedestrianism, anonymity, public space, and anxiety. I use stark light, deep shadow, and muted color as visual strategies to portray the essence of pedestrian life at the city’s center—a transitory space in which the masses convene for brief moments of time. I borrow from the genre and practice of street photography, expanding what it means to make work on, and of, the street. By constructing images based on the psychological impact of personal experiences and chance encounters in the city, I complicate the tradition of street photography, conceptualizing the city experience, instead, as mysterious, monumental, fragmented, overwhelming, or magical. City Space is an ongoing series, started more than seven years in Chicago, where I live. The work functions as a metaphor for life in flux in the modern city. As we become a global society, the population is shifting from suburban and rural landscapes to urban centers. As a transplant to the city, I know that this shift can be fraught with mixed emotions. By pointing to the mundane yet powerful moments of a pedestrian’s commute, I ask the viewer to reference their own experience and perhaps change the way in which they see and navigate space. 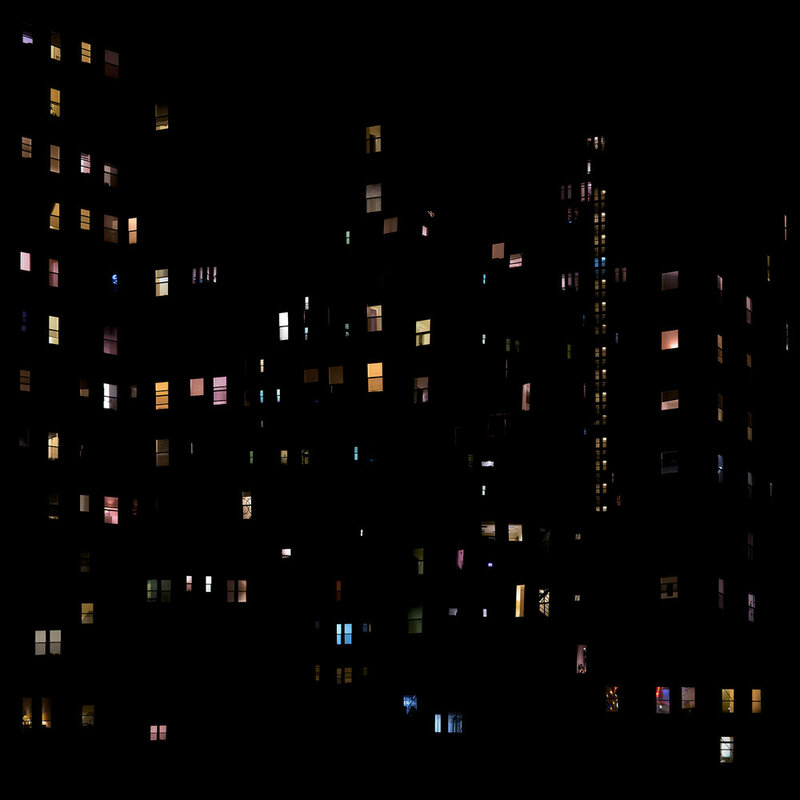 Stray Light is an ongoing photographic project aimed at imaging the nocturnal urban landscape. We have all but lost the night for our progress. In its place we have formed a new cosmos, one of vanished surfaces and flecks of light. Carefully constructing each image from multiple photographs, I reform the urban landscape in my own vision - one that seeks to reconstruct the heavens in its absence above the cityscape. Light emanating from each window references a world unknown, evoking a sense of mystery and awe. We no longer look up to the night’s sky with awe. Instead, that is how we look out at the city.